Do you remenber Cookie-Monster from Season Street ? 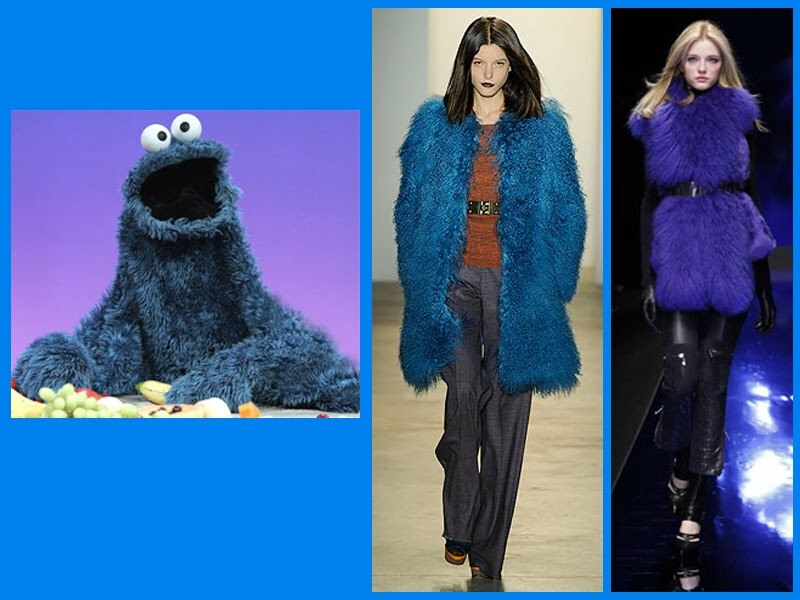 For next Winter I spotted some furs that for sure were inspired by the bluish colour of cookie monster. I know that has not been a long time since we left our Winter wardrobe and that I cannot wait to wear all my summer clothes that I'm not using in Milan, but is just a suggestion of colour that was also proposed for this summer. Cookie-Monster; Peter Som coat and Versace vest.